Twenty20 Cricket is fast losing its lustre, so in good marketing form it is time to tweak the formula just a tad. As the Biathlon World Cup series moves into its Christmas hiatus, it is an ideal time to review the state of play. I promised myself I would refrain from commenting on the pathetic Quade Cooper debacle. However I can not hold my tongue, no, pen, wait, keyboard any longer. Are our top sports medical staff competent? 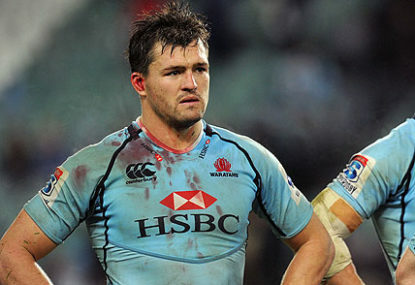 The Wallabies and the Australian Super Rugby franchises have suffered a horrendous injury toll over the past two or three seasons. With the greenkeepers of Test grounds capitulating to their cricket boards all over the world, it is truly fortuitous that this weekend sees the start of the Biathlon World Cup season in Oestersund, Sweden. Cricket Australia and the ICC have decided, in their infinite wisdom, to allow day/night Test cricket. What a sell-out! No, I don’t mean a sell-out of a game, but a sell-out of the game. 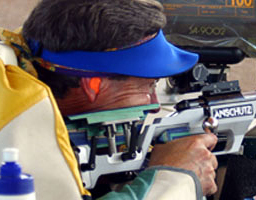 The rifle contingent of the Australian Shooting Team have wrapped up their final preparations for the London Olympics with the third round of the Australia Cup matches in Brisbane. One-dimensional rugby: are set pieces to blame? All of the recent talk here on The Roar regarding the performance of the Australian Super Rugby teams has revolved around a couple of key points. Last night I caught the second half of the French Top 14 Final. Toulose beat Toulon 18-12 in a gripping match. It was 12 all with about 15 minutes to go. Does anyone recall when rugby was fun? Has the professionalism of rugby and the chase for money killed off the fun and enjoyment of the game? Early Saturday morning I was enjoying my coffee, when I heard the awful news. Fox Sports, the paragon of sports journalism, loudly stated that Dingo Deans was worried about a Welsh “ambush”. To help vary the sporting diet of The Roar and with the Olympic Games fast approaching, it is time we looked at the team for one of the lesser followed sports: the Shooting disciplines. Following the end of the Biathlon World and IBU Cup seasons, competitors from around snow-topped parts of the world have had a lay off and are getting back into training. For some national teams this is a little more risky than others. After the Boxing day Test debacle I noticed a strange thing in the commentary, especially that coming from Cricket Australia, the team and those close to the team. In short it was along the lines of Ponting and Clarke are too valuable to the team to be dropped.